The Verizon Network Visionaries Program and Intel Network Builders Program are collaborating to accelerate innovation using software defined networking (SDN) and network functions virtualization (NFV) technologies. The united goal is to work with the Intel Network Builders ecosystem of partners to collectively drive solutions that address network and market opportunities. Part of this collaboration is the Verizon & Intel Network Builders Innovation Challenge aimed to stimulate innovation in SDN and NFV solutions that enhance the customer experience on Verizon's network, built on solutions that contain Intel ingredient technologies. On October 10, Verizon & Intel Network Builders announced the top three finalists in each of the two challenge categories at the Intel Network Builders summit in The Hague, Netherlands. Each finalist submitted a four-page solution overview and video for consideration. 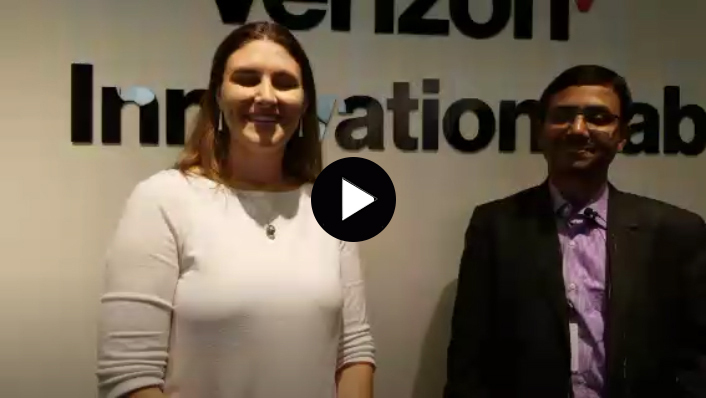 Finalists from each category had the opportunity to demonstrate their solutions in the Verizon Innovation Lab in Waltham, MA, on November 18. The grand prize winners of each category were announced on December 5 in Palo Alto, CA, at the Intel Network Builders event in conjunction with Carrier Network Virtualization. Each grand prize winner was awarded $25,000 in market development funds to apply to their co-marketing plans with Intel. Low Latency Category Grand Prize Winner: Artesyn Embedded Computing* and Vantrix Corporation* showcased their Network Edge Augmented 360 Demo. This virtual reality solution is seen to provide an improved immersive customer experience at live sports events, as an example. Analytics Category Grand Prize Winner: Wipro* demonstrated a network analytics solution that uses real-time analytics to improve end customer experience on wireless networks. Transforming the network through next-generation technology to meet future customer needs is top of mind for Verizon. The Verizon and Intel Network Builders Innovation Challenge was created to push the ecosystem to drive innovation and develop new solutions that address latency and analytics. 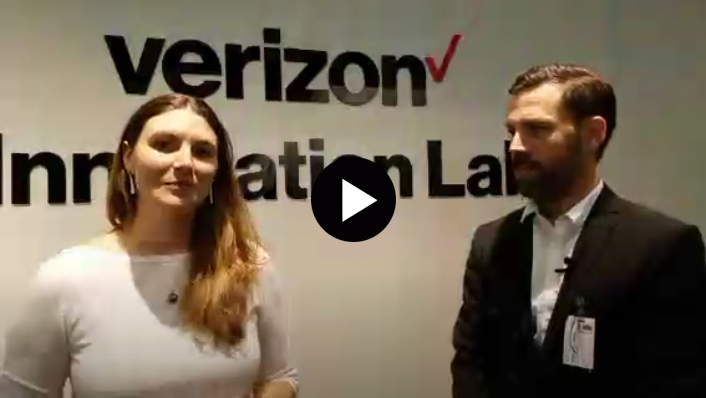 Participating finalists had the opportunity to get a sneak peek into the Verizon Innovation Lab in Waltham, MA, and test their solutions in Verizon's network environment as well as showcase the solutions to the challenge judges. Our five distinguished judges (pictured below) experienced live demonstrations from the low latency category finalists, Artesyn*/Vantrix* and Brain4Net,* and the analytics category finalists, GENBAND,* Netrounds,* and Wipro,* at the Verizon Innovation Lab in Waltham, MA, on November 18. From left to right: Matt Adiletta, Intel Senior Fellow & Director Center of Innovation at Intel; Dr. Yan Luo, Professor of Electrical & Computer Engineering at University of Massachusetts; Lynn Comp, Senior Director of Industry and Sales Enabling in the Network Platforms Group at Intel; Dr. Bryan Larish, Director of Technology at Verizon; and Anil Guntupalli, Director of Technology at Verizon. 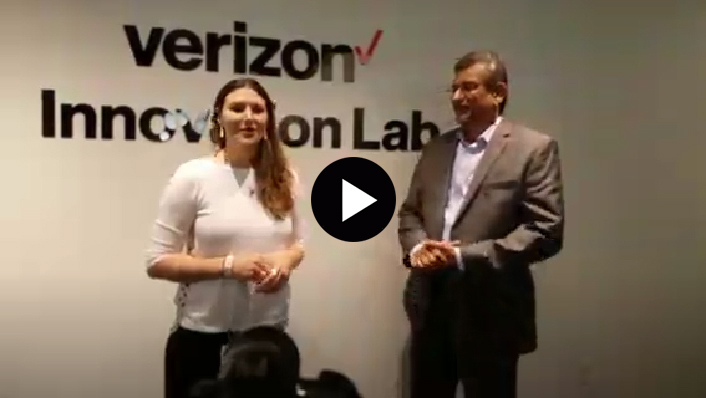 Check out the short interviews with our finalists live from the Verizon Innovation Lab. 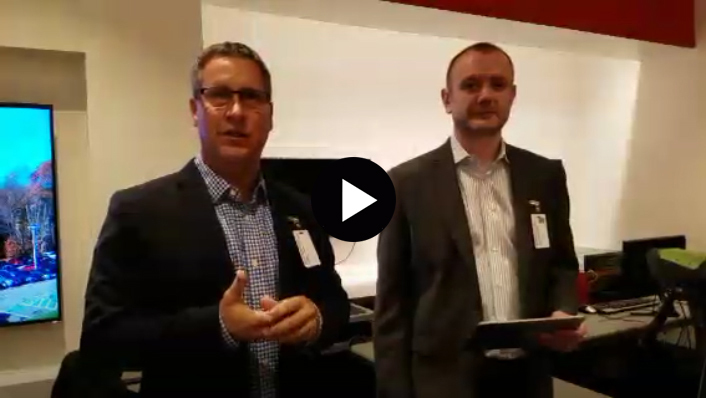 Artesyn Embedded Computing* and Vantrix Corporation* have partnered to demonstrate their Network Edge Augmented 360 virtual reality and augmented reality solution. With capabilities such as real-time stats on personal mobile devices at live sporting events and enhancing live customer experiences, this solution enables a seamless end-to-end virtual reality broadcast and delivery infrastructure. This can benefit service providers like Verizon by creating value added services for their subscriber base. Wipro's* Network Analytics Solution (NAS) is an innovative software based probe solution based on Intel® architecture. It provides an efficient approach for real-time data analysis in a live network and actionable decisions based on detecting content. In addition, NAS has provision for key performance indicators (KPIs) and reports for network views and other tools for network operation. 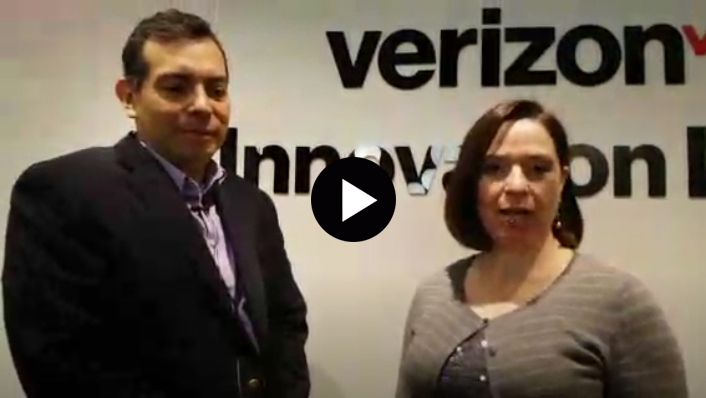 Congratulations to the finalists of the Verizon & Intel Network Builders Innovation Challenge. Below are the three finalists in each of the two categories in no particular order. In today's world, there is zero tolerance to any network downtime. Although we have several services around rapid disaster recovery situations, wouldn't it help if we could avoid network downtime all together? Using Predictive Network Analytics in the virtual world can help identify and prevent such networking problems, thereby providing an enhanced networking experience to the end users. The challenge: Develop an analytics solution with a focus on preventing networking problems. The challenge: Develop a solution with focus on low latency network optimization.